The prestigious honor goes to Kelly D. Holstine, an English teacher at Tokata Learning Center in Shakopee. 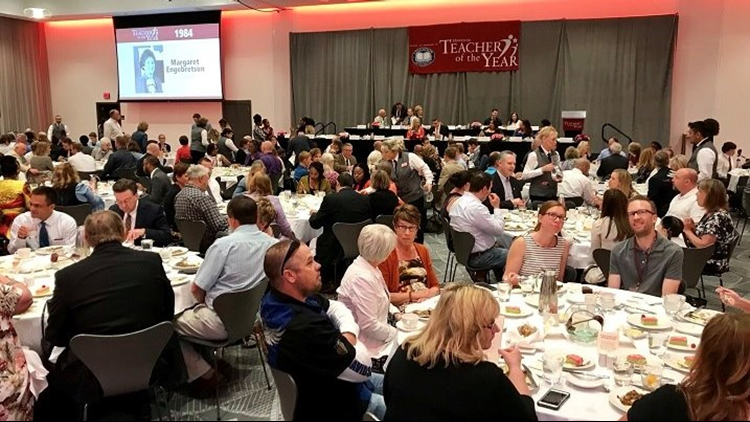 Hear from Holstine on Sunrise at 6 a.m. Monday and later on the KARE 11 Facebook page at 7 a.m.
BLOOMINGTON, Minn. - Education Minnesota named its Teacher of the Year award Sunday afternoon at its annual event in Bloomington. Education Minnesota named its Teacher of the Year award Sunday afternoon at its annual event in Bloomington. Holstine has been teaching at Tokata since 2012 and teaching in Minnesota since 2007. She holds a bachelor's degree from UMass and a master's degree from Augsburg College.